The Books for Walls Project: BFWP Outreach: A Question Leads to a Story. BFWP Outreach: A Question Leads to a Story. Yesterday afternoon The Sisters facilitated their very first workshop. The title of the workshop: "A Question Leads to a Story", the conference: Bioneers, the venue: Northern Michigan College. It all began with The Mom and The Dad asking our own question: how do we help our daughters lead a workshop? The Big Sister loves to talk in front of groups and The Little Sister prefers a silent presence, broken only by an inspired thought to share, here and there. With research and many talks around our dining room table we came up with an outline and had many different ideas depending on our audience --we felt ready, sort of. Yesterday morning we gathered around Nana and Bapa's* dining room table to do a final run through. Nana is wonderfully affirming and Bapa is a seasoned public speaker and with their guidance we edited and crafted our ideas into a workshop! With this we were ready, this time completely. We prepared a statement, to focus The Big Sister and to simply explain why story is a part of The Books for Walls Project and the main goal of our workshop: "In a fast paced world we need to slow down and return to story and which requires someone to tell a story and someone to listen." And then, gathered in a circle of family, friends and conference participants, The Sisters facilitated their first workshop! Today we are happy to announce that our workshop was a great success! The Big Sister even lost a tooth in the middle of the session and handled it like a pro! In fact it went so well that we are going to develop some exercises to encourage everyone to begin telling and collecting stories and to share everything we learned at The Sister's first experience facilitating a workshop! 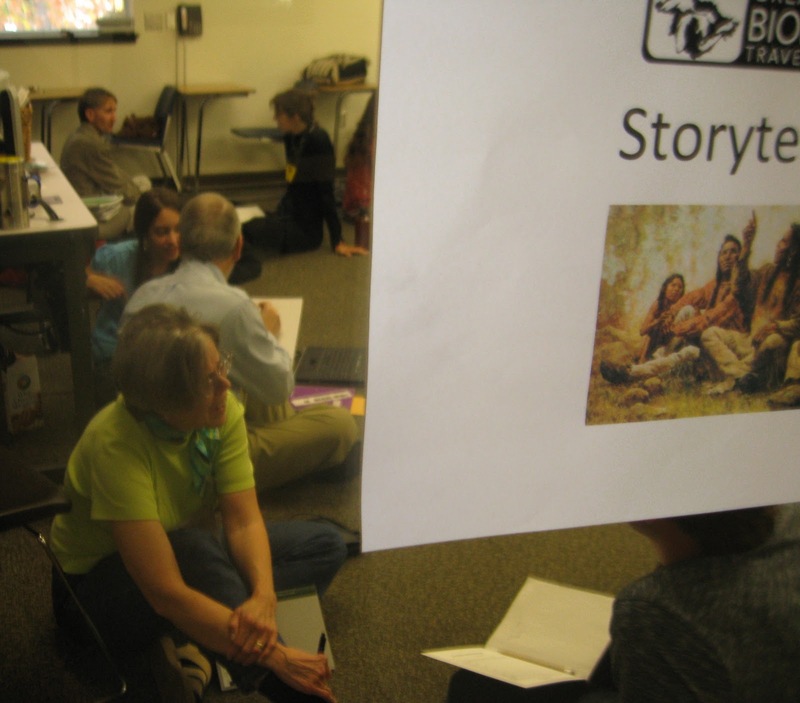 For now, here is a story of The Poet's first experience with Bioneers, enjoy! Congratulations Sisters & Books for Walls Project!! You all move mountains for me, every single day!! Keep inspiring!! Much love!! Congratulations on a successful workshop! What a great experience for all concerned. I'm so proud of all of you. I will be there next time...I hate to miss such moments!